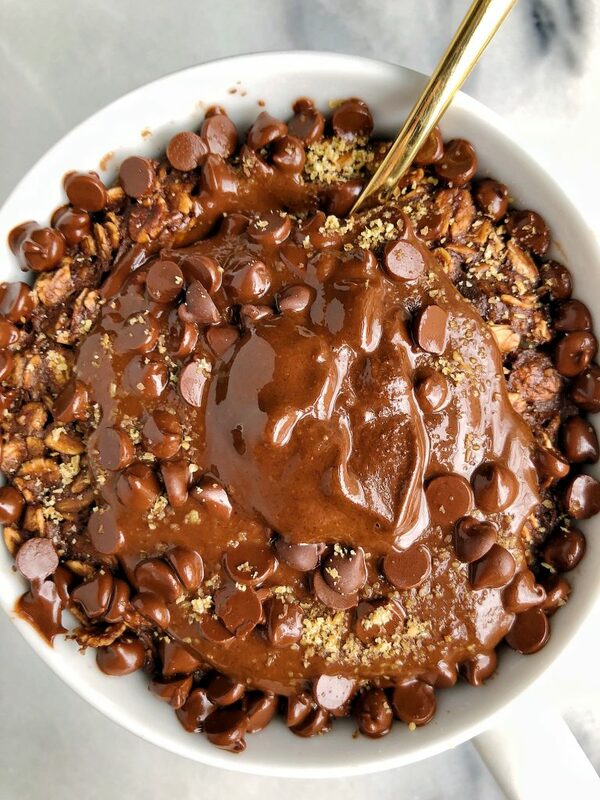 Sharing this quick and easy 2-minute Brownie Batter Oatmeal For Two made in the microwave for a delicious and chocolatey breakfast! I have a feeling you guys are going to go crazy for this recipe. First of all it is ready in 2 minutes. Second of all is tastes like brownie batter and we are eating it for breakfast. And lastly, there is barely any clean up since it is made in the microwave! All you need are a few easy ingredients that you likely have on hand already. We combine gluten-free rolled oats, mashed banana, egg, flaxseed, cacao powder and some nut milk to make the oatmeal batter. 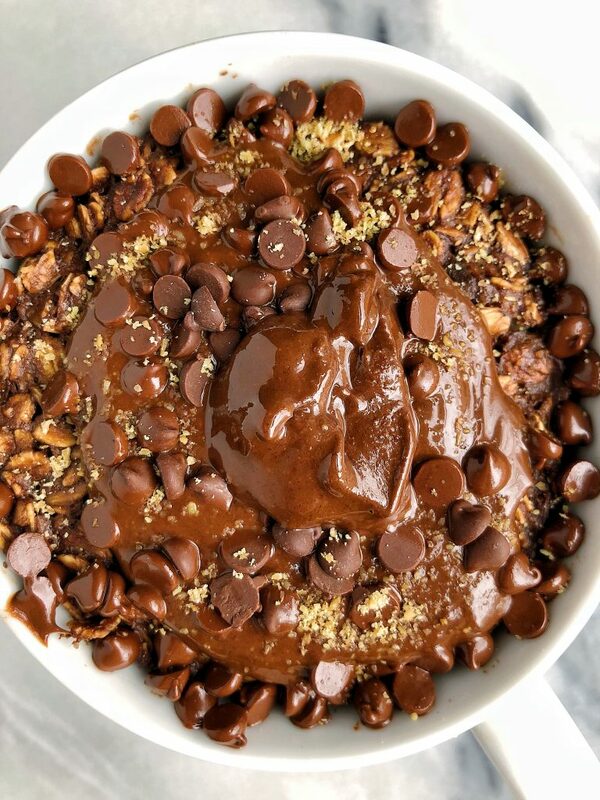 Mixed with some dark chocolate chips and dollop of nut butter on top – it is heavenly! This recipe does serve two people so feel free to split it with a friend, roommate or just save the other half for later. I recommend eating this recipe while warm and fresh out of the microwave so if you make it ahead of time, definitely reheat before eating so you get the full brownie batter taste! Split the oatmeal into two small bowls, top with nut butter and anything else you are craving and enjoy! Top with nut butter and any other toppings you are craving and enjoy!